What's a broker? What's a dealer? What's an importer? Wholesale breeders are classified as Class 'A' Dealers with USDA. Anyone who breeds and sells puppies for the wholesale pet market (pet stores), is a wholesale breeder. Wholesale breeders normally sell their puppies to brokers. Brokers are classified as Class 'B' Dealers with USDA. A broker can be a breeder also, and more often than not, they are. Their primary business is buying all of the puppies that a breeder can produce. They sell the puppies to the pet shops. Some brokers put restrictions on puppies with defects such as, underbite, overbite, cryptorchid, hernia, etc. but normally a breeder in good standing with their broker can sell these puppies at a reduced price to the broker. An Importer is one who purchases a single puppy or an entire litter or multiple litters at one time from breeders or dealers that reside in countries outside of the United States. Many "reputable" breeders here in the United States import puppies from other "reputable" breeders in foreign countries to bring in new bloodlines and improve their breeding programs through a selective gene pool process. 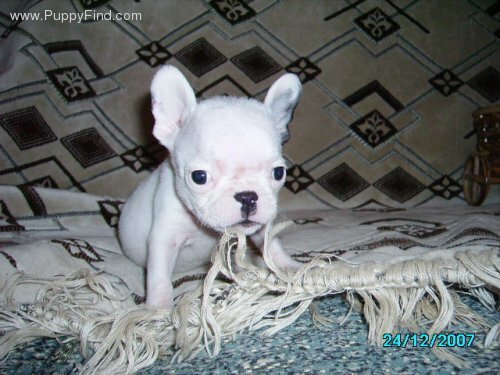 With the increase popularity of certain rare breeds such as the French Bulldog, many importers are shipping in large volumes of puppies from Russia, Hungary, Ukraine, and other surrounding European countries with the sole purpose of making money. A single puppy costs the importer $200.00 - $350.00 each which can sell for $1,200.00 to $3,500.00 or more here in the United States. A very large profit margin! These puppies are being imported into this country as young as 6 to 8 weeks old. Some puppies do not survive the long trip! The ones that do survive are often weakened and stressed and susceptible to serious diseases and deadly viruses which can kill or lead to a lifetime of chronic illnesses. Many of these puppies do not meet the AKC breed standard and are often poor specimens of the breed. There are a lot of brokers here in California! If the person has a lot of puppies and no parents on the premises that is a red flag. They will tell you that they have family over seas that they get there dogs from. It is all a lie. Please do not support this! There are many health concerns with the French Bulldog and you should get your puppy from someone who cares about what they breed. Good breeders try and breed out the bad things and only breed healthy adults who pass health testing. I have seen backyard breeders try and sell pups with water on the brain. Someone looking for a pet might think its cute but it will probably not live to be 6 months old. If you see a pup that looks like the one in the photo below...run!